Meghan Trainor has delayed the release of her third studio album as she has been inspired to write more new music. Meghan Trainor has delayed her album. 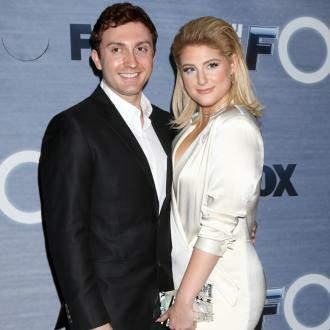 The 'All About That Bass' singer has been forced to push back the date of her third studio album 'Treat Myself', which was due to drop on August 31, because she has been inspired to carry on writing more new music after the ''most exciting'' year of her life that saw get engaged to Daryl Sabara and be a judge on 'The Four' with Diddy, DJ Khaled and Fergie. Alongside a picture of herself in the studio, Meghan wrote on Instagram: ''This past year has been one of the most exciting of my entire life. I got engaged to the love of my life, Daryl! I got to hang out with Diddy, DJ Khaled and Fergie on The Four, and I released five new songs that I'm absolutely obsessed with. I'm in such an amazing place and I can't stop writing songs... I've decided to move my new album TREAT MYSELF until I get everything out of my head and recorded in the studio. I've never been more excited for all of you to hear my new music. Thank you for your continued love and support. The album is said to be a family affair with appearances from her loved ones including her fiancé, who proposed to the singer in December. The 'Me Too' hitmaker also explained how she drew inspiration from her current love life into the songs featured on her record. The singer/songwriter - who won a Grammy Award for Best New Artist in 2016 - confessed that in the past she'd felt plagued by her hit song 'All About That Bass' which propelled her to fame in 2014.